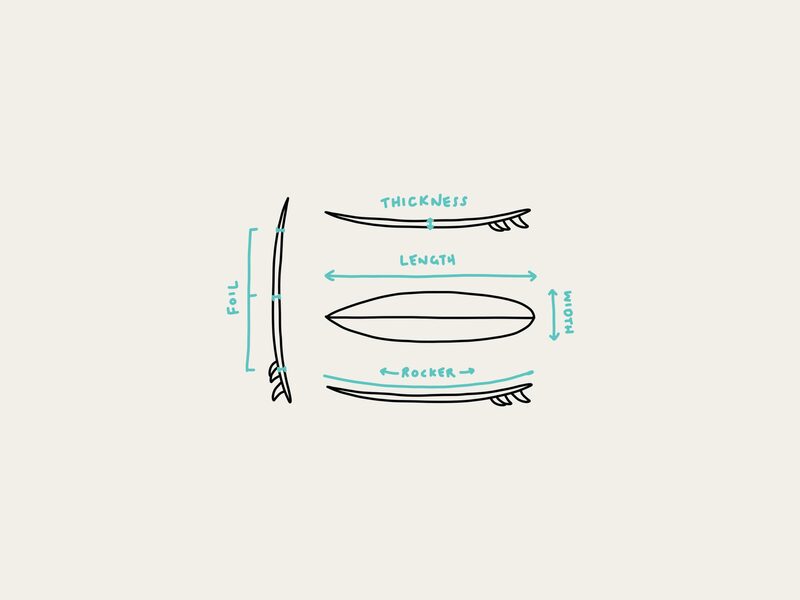 How your surfboard’s dimensions affect your surfing? Length helps you paddle faster and catch more waves. Your surfboard will hold a longer water line, which helps with stability. Longer boards are great for when the waves are bigger, as the extra surface area will help the board feel less shaky at high speed. Shorter boards are easier to change direction quickly because they create less water resistance when going from side to side. They are more manoeuvrable, especially in small waves. Width is measured from one rail to another at the widest point of the surfboard. Wide surfboards provide more floatation and surface area. This translates into easier paddling, extra glide and great stability. Wide surfboards are perfect for beginners, as the extra foam from rail to rail helps their balance. Beginners commonly don’t have their feet perfectly positioned on the width of the surfboard when they pop up. Wider boards are more forgiving. 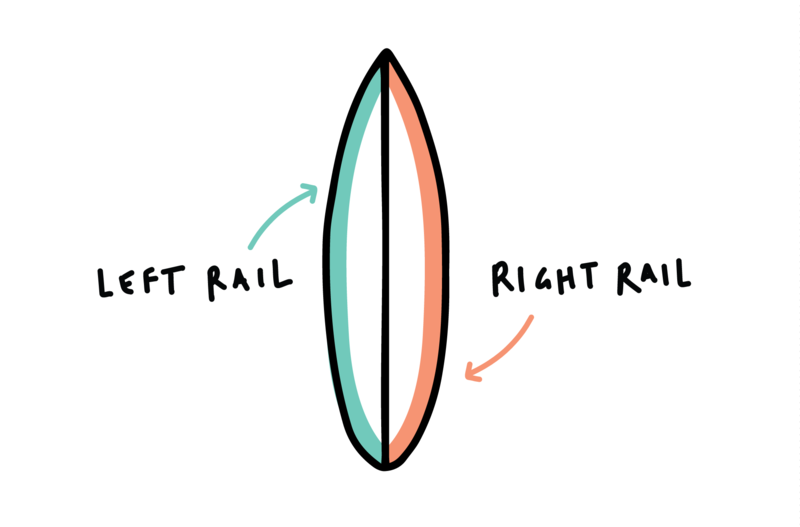 Surfboards that have a narrow width are very easy to go from rail to rail with. They provide quick response. Experienced surfers might choose surfboards with less width to help them make tight turns and advanced maneuvers in steeper parts of the wave. Where is the widest point of your surfboard? The widest point of a surfboard is not always exactly at the centre of the surfboard. 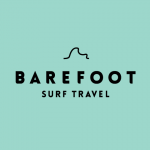 It can be a few inches ahead, or a few inches below the mid-point of the surfboard’s length. 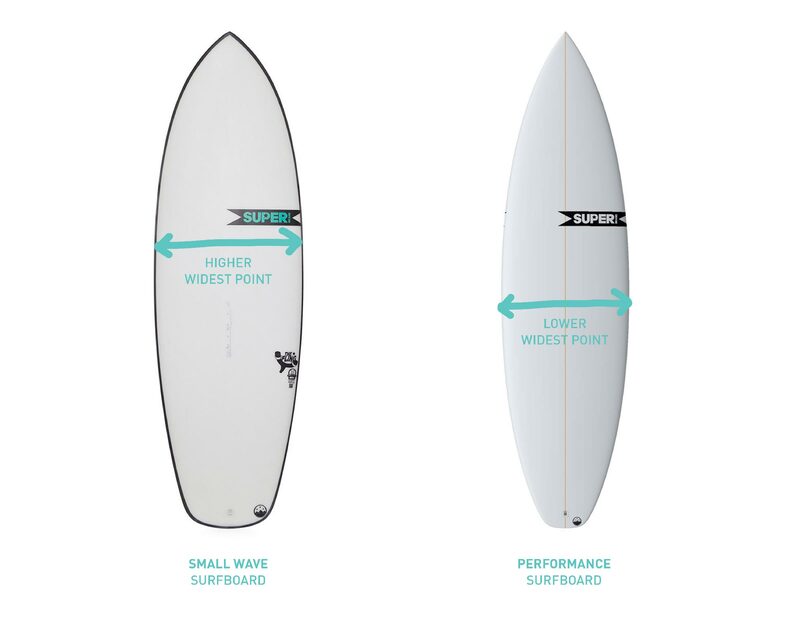 Some performance shortboards have the widest point lower than the centre. This provides surfers with quick pivots and helps to do sharp turns. Having the widest point of the surfboards width passed the centre will translate into effective paddling into waves. This can help when the waves are weak and harder to paddle into. It can also help when waves are huge, because surfers will need extra paddle power. If you look at most fishes (small wave boards), and guns (big wave boards) they both usually have the widest point further up than the centre. The downside of having a high wide point is that it gets harder to make tight, radical turns. Thick surfboards are great for beginners and intermediates. 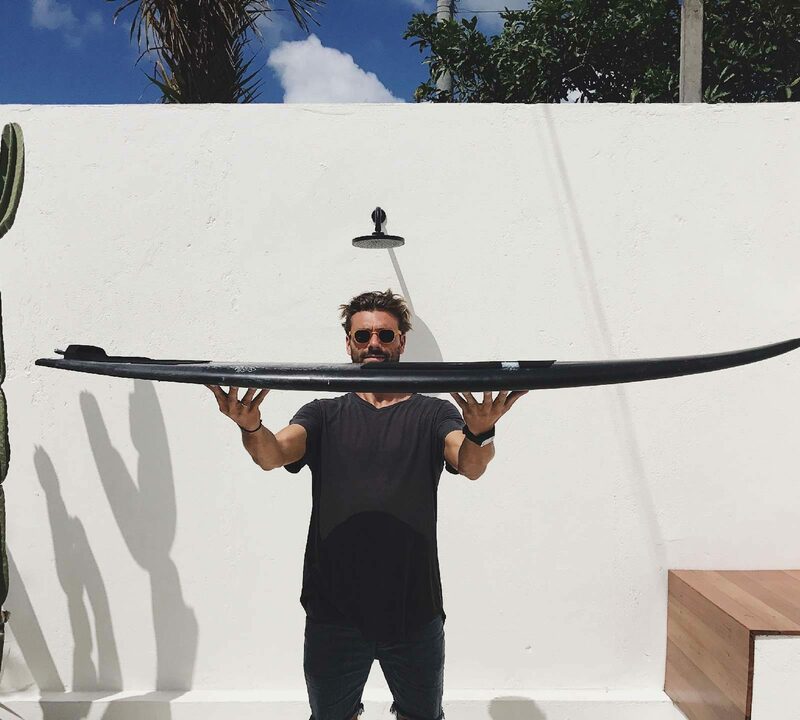 These surfboards will paddle faster, making it easy to catch waves. Surfers will find they don’t sink as much in the water when they are stuck in flatter parts of a wave. Thickness helps surfers of all levels ride softer waves. Thick boards are forgiving for the less experienced when they ride too far from the pocket (curled part of the wave), as they can keep some of their speed. Thickness can hurt the performance of more advanced surfers, limiting the manoeuvrability of their board. The thinner a board is, the easier it is to “dig” the rails in the water, since it won’t float as much. Being able to lean on the rails is essential for solid bottom turns and advanced carving. Head Surf Coach Franco Rivas buries his left rail on a backside bottom turn. Doing the same drastic turn on a very thick surfboard would be much harder. It’s not just about the overall thickness. A very important thing to observe is how is the foam is distributed on the surfboard. 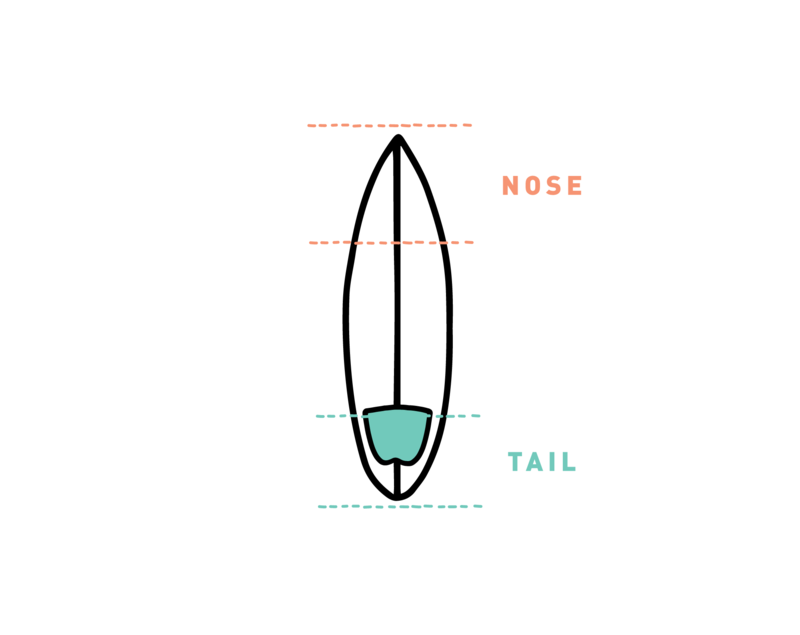 When you look at the surfboard from its profile, can you observe extra foam located near the nose, in the middle, or closer to the tail? Having extra thickness at different spots on the surfboard will strongly affect how it responds in the water. More volume towards the nose will provide easier paddling into waves. It helps novice surfers with extra stability and provides more speed when surfing small waves. A small and thin nose means you don’t have much weight to move around when you want to turn. You will benefit from more performance and manoeuvrability, and duck dives will be easier. More foam in the middle of your surfboard will have you surfing faster down the line. Thickness helps to ride soft waves and catch waves easily. Heavier surfers usually add volume towards the middle to get more floatation. Thicker surfboards usually don’t break in half as easily as thinner boards. 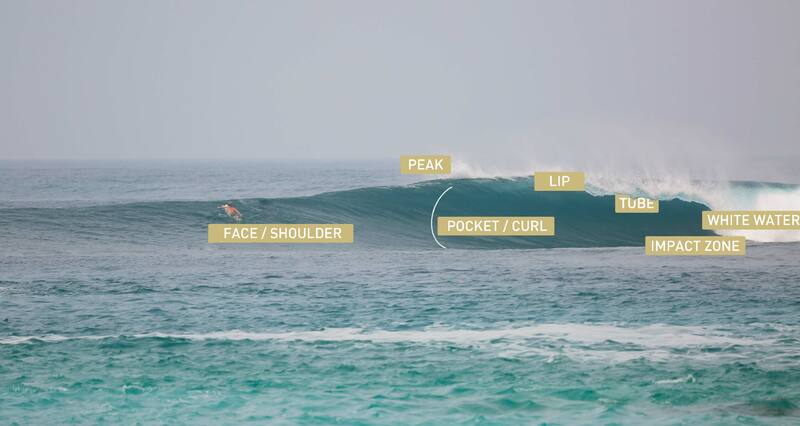 A thin middle helps advanced surfers go from edge to edge quickly and easily. Less volume means more manoeuvrability and control, especially when doing advanced turns. Wide, thick tails provide stability and float. This is best for novice surfers as it makes it easier to catch waves and stand up on them without feeling too shaky. Volume at the end of a surfboard provides speed because the tail floats more and planes on the water as you move forward. 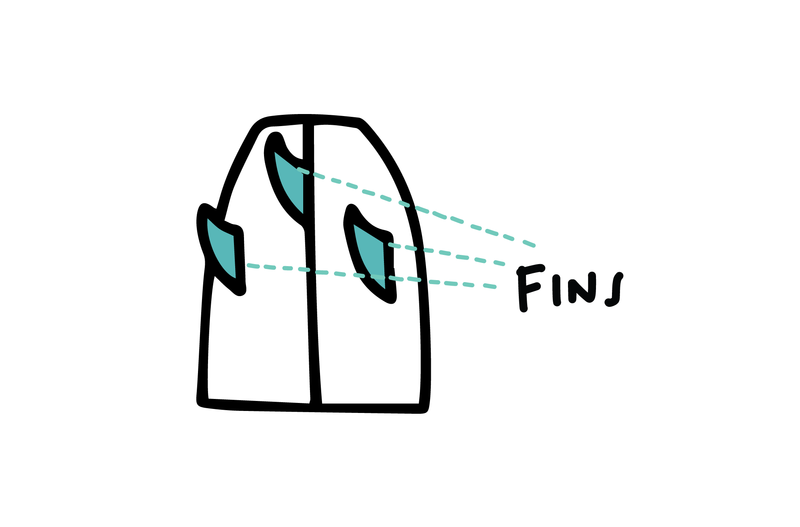 Thinner tails help advanced surfers get more control and “hold” onto waves, especially in steeper parts of a wave. Experienced surfers will surf thinner and narrower tails to “bite” in big waves and to stay in control even at high speeds. Less volume at the tail also makes rolling from rail to rail easier. *The tail shape can be balanced out with different fin set ups and tail shapes. Very big waves: Ride a “gun” shaped surfboard, more length & more volume become important.